Rare! 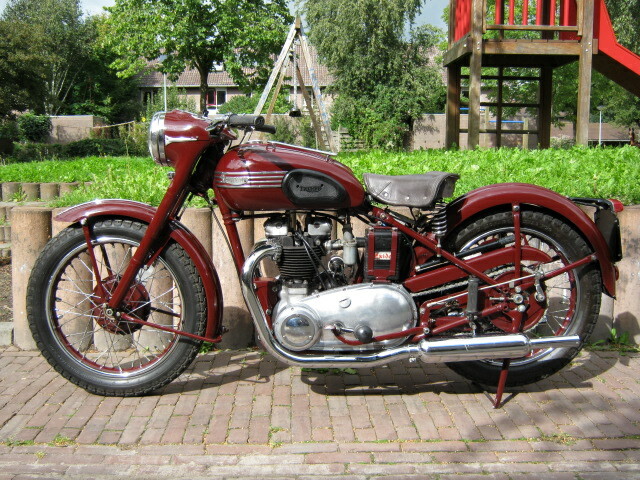 Nice Speedtwin with sprung hub. 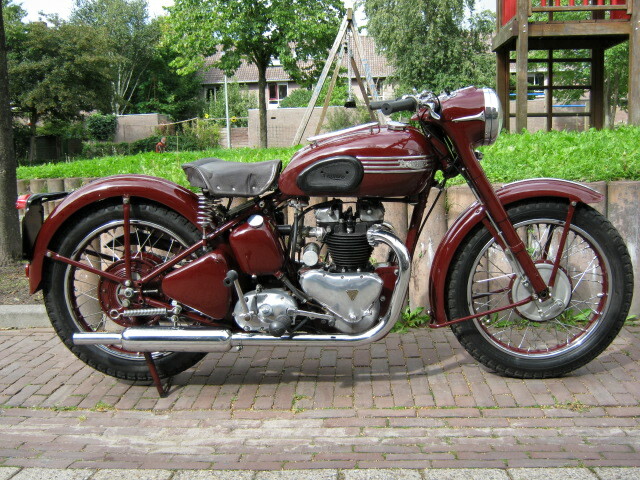 Very original machine, matching numbers. 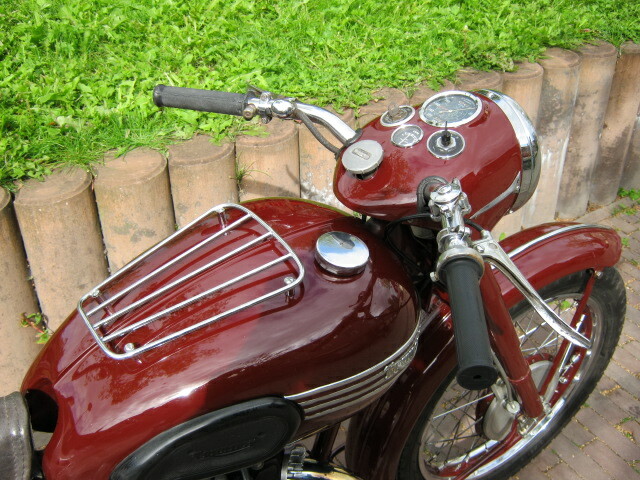 1953 so with coil ignition. Is an older restauration still in a very good condition. With Dutch registration, rides and runs very well.